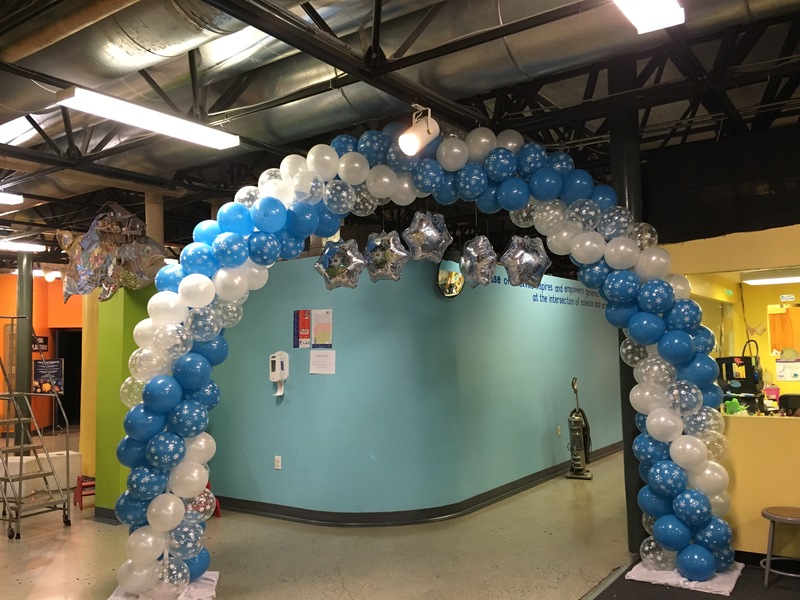 Balloon Arches Will Get Your Guests’ Attention! Personalized balloons, perfect for any occasion! A Spectacular Balloon Drop for Every Occasion! Normally we spend Christmas in Ottawa, Canada with my daughter and her family. This year we did things differently because of the balloon decor business. I had no idea what to expect for my first holiday season. 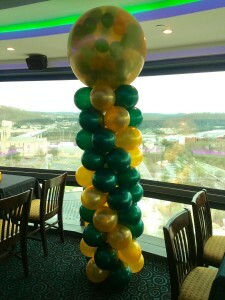 Early November, The Muse Knoxville requested decor for their New Year’s Eve celebration – that was very encouraging! Then the Chamber asked if I could provide a “Whoville” Christmas tree for their yearly event, Bah Humbug, the first week of December. I also built some beautiful balloon snowflakes for a little girls’ “Frozen” themed birthday party. 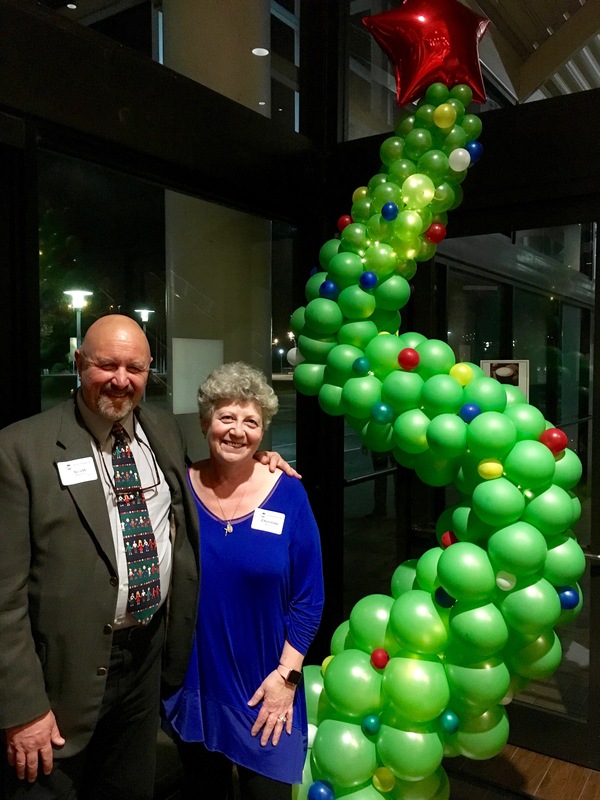 Although I wasn’t as busy as I would have like with balloon decor, I performed as Ms Tickle at several birthday parties and was hired by the city of Knoxville to twist balloons at both of their December events. Early December I was asked to provide pricing for a balloon drop for a well known local venue for their New Year’s Eve party celebration. Sadly, the venue’s ceilings were much too low to accommodate a drop (less than 8 feet), so I proposed exploding balloons on top of balloon columns. 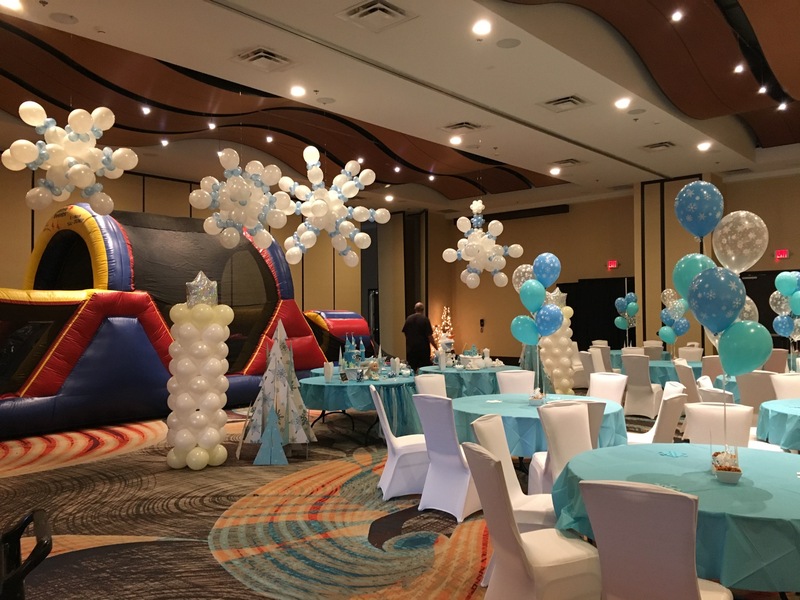 The client was set on a balloon drop – I explained to him that hundreds of balloons falling on his patrons from about a foot above their heads, would not create the anticipated effect. He finally agreed to the exploding balloons. Through no fault of my own, at the last minute (December 30th), I ordered the proper equipment and supplies to create exploding balloons in time for New Years Eve. My order came in with the necessary products and tool only hours before I was scheduled to set up! Talk about cutting it close! Thankfully my husband helped and we were able to deliver and set up the 3 columns with exploding toppers along with several helium inflated balloons to add to the decor. By the time we were done with our set up, we were ready to head home and put up our feet – no celebration for us! Now that the holidays are behind me, I am much looking forward to spending a couple of weeks at the end of January with my daughter and her family! In retrospect, it’s been a good year. Volunteer Balloon Decor is heading in the right direction and if all goes as planned, I might have to hire someone to help me! Click to learn about my new book!